Orlando Auto & Car Accident Lawyer | Charles H. Leo P.A. A car or automobile accident can be a harrowing experience and once you’re involved with one, it can be easy to forget the most important things, like how you should react and what you should do. The time right after a car accident is critical in protecting your rights and interests down the road. If you sustain injuries, especially more serious ones, it can affect your life for months or even years to come. If you follow the advice of our Orlando car accident lawyer laid out here, you will be more likely to receive the compensation and results you need. After an accident, one of the most important things you can do is to stay on the scene. Leaving the scene of the accident leaves your case in the hands of the other person who, of course, doesn’t want to be the at-fault party. Staying at the scene protects your interests by allowing you give the facts to the police in a way that is unbiased towards you. Simultaneously, make sure to be really careful with what you say. Never admit fault, or use words that could be misconstrued as admitting fault, to the other drivers, witnesses, or even friends and family via text or phone call. While waiting for police officers to arrive at the scene, make sure to gather pertinent information. This include the names, addresses, license plate and driver’s license numbers, and the insurance information for all the other drivers. Additionally, gather contact information for witnesses as well as information about the accident itself, including the location, traffic conditions, lighting, and more. Details here are extremely important when you are involved in an auto accident in Orlando and require an attorney. Once the police arrive, you will want to only tell them the facts about what happened and leave the interpretation up to them. Additionally, make sure to get their contact information along with the incident number, which will allow you to get an accident report. After all this has been taken care of and you are free to go, it is important that you seek out medical care, even if you don’t feel injured at the moment. The effects of many car accident injuries can take time to manifest themselves, especially if your body is pumping out adrenaline. Seeing a doctor right away prevents other drivers or the insurance companies from being able to argue that your injuries are not related to the accident. Consult with our Orlando car accident attorneys today for more information! 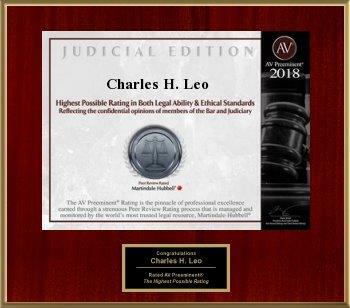 At any point in this process, it is a good idea to call The Law Offices of Charles H. Leo, P.A. 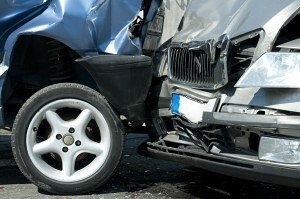 to speak with an Orlando car accident lawyer. Not only will we help guide you through the process, but we can advise you on what to say, how to say it, and what steps you should take next. We can also be proactive in investigating the accident to determine fault and negligence so that we can help you receive any compensation you deserve. Whether the accident was caused due to another driver or defects in your automobile, road design or signs, or other issues, we can help find the cause. Contact The Law Offices of Charles H. Leo, P.A. today!